Fall Winter 2014 Fashion Must Have Items. Must Have Fashion Items for Fall/Winter 2014. Whether you’re still shopping or think you’ve completed your fall looks, check out a few Fall 2014 essentials that shouldn’t be missing from your closet. They can act as the backbone of your fall wardrobe for a trendy style. Here are the must have fashion items for Fall 2014, from the oversized sweater to the trendy lace-up heels that are sticking around for Spring 2015 too. With these chic basics, your fall wardrobe is almost complete, and you can enjoy a wide variety of stylish looks. If you’re looking for the perfect sweater, go oversized this fall. To keep the look balanced, make sure that your sweaters are perfectly fitted at the shoulders. Gray knits have made a big impact this fall, and the speckled look is even better for a sweater. Try to find a cozy homemade feel for your sweaters, since this look is definitely on trend. A second gray piece among the must have fashion items for Fall 2014, the gray skinny jeans are the right look for autumn. Go for a well fitted pair that also has a big of stretch for more comfort. By sticking to this trendy neutral for denim, you’re making sure they’ll go well with every top in your closet. 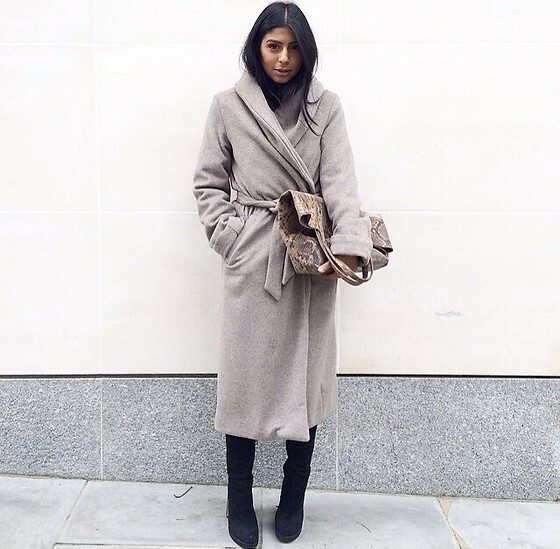 Forget about the fall parka and try a more voluminous wrap coat this season. If you loved boxy jackets for spring, continue this trend into the fall with a wrap coat. However, if you’re tired of the extra volume and want to go for a more streamlined look this season, capes provide the practicality, along with timeless glamor. Print matching is a big fall trend, so a colorful printed top is also included in the must have fashion items for Fall 2014. 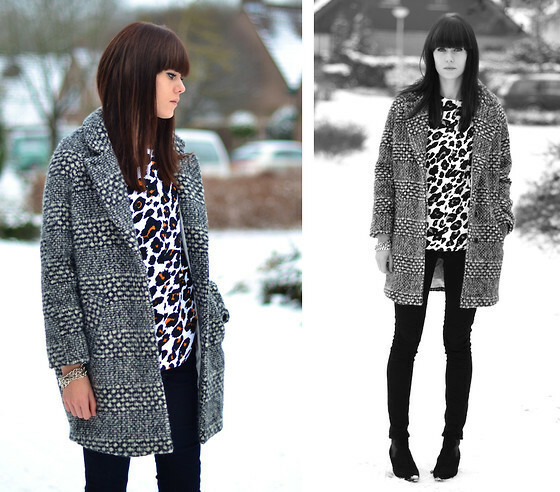 Even if you decide to stick to one print per look, make the best out of it and choose an impactful one. Whether you prefer florals or abstract prints, a bold printed top can be the perfect way bring more color to your look when paired with grays. Longer leather skirts are part of the ‘70s hippie chic sensibilities that have influenced many designers lately, and the midi skirt is also making a comeback. Combine these two trends into a perfect statement piece for fall. Whether you pair it with a crop top or a sweater, this type of skirt is excellent with a touch of color, whether you stick to the basics or go for suede. A well tailored blazer is definitely one of the must have fashion items for Fall 2014, and choosing a double breasted one is the right way to keep your look trendy. Whether you find your perfect one in a designer boutique or the boy’s section in a department store, wear it with confidence this season. Jumpsuits are staging a different kind of a comeback, losing the glam for a more utilitarian approach. That doesn’t necessarily mean the baggy look is in, just that the right way to find the perfect one is to find beauty in its simplicity. Pair them with a killer pair of heels and you’re set for a trendy fall look that’s equal parts boho and casual chic. A classic autumn staple is definitely part of the must have fashion items for Fall 2014. The sweater dress is trendy whether you go for a more granular knit or a daring print. Whether you want to stick to this fall’s star neutral, grey, or go for a more graphic color, make sure that the band on the hemline doesn’t create the dreaded bubble effect. Shearling accents have made a big impression on the runway, and they can also provide a little warmth for the cooler months. You can go full shearling, but if you’d rather keep it to accents, you can find a wide variety of jackets that feature shearling detailing, from leather to denim. While the gladiator look is best saved for spring 2015, lace-up heels are also one of the most important must have fashion items for fall 2014. They’re particularly flattering for petite women who need the leg lengthening effect, but they’re equally trendy for every body type.